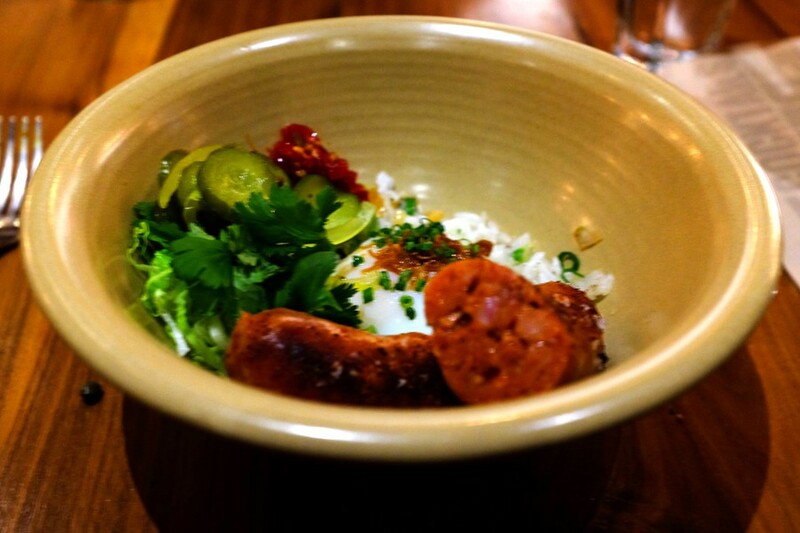 The West Loop’s Tete offered Longanisa sausage served with fried garlic rice. Don’t get me wrong, there are plenty of steals out there. But the fact of the matter is that there are quite a few restaurants that aren’t really offering a deal at all. One of my stops this Restaurant Week was Tanta, a Peruvian restaurant in the loop. The set menu was $44 for three courses— three very small portions with no particularly unique ingredients or flavors. Comparing that to the á la carte menu, it was easy to see I was better off ordering a couple of dishes from the regular menu and saving myself a lot of disappointment (and $10). 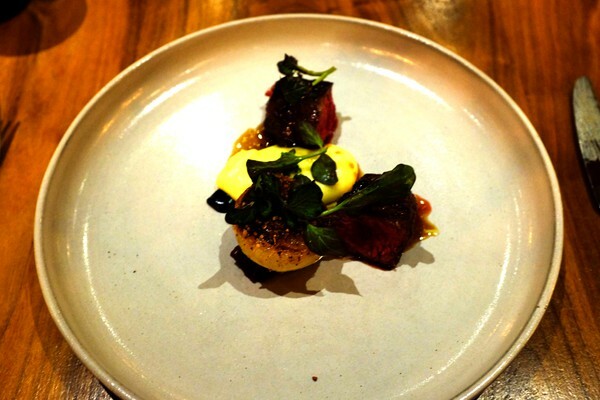 Tete specializes in charcuterie and chose to offer ornate steak dishes this Restaurant Week. It was extremely obvious that the restaurants were overwhelmed—from the cooks to the servers to the bartenders—and it wasn’t just on the weekends either. Typically, popular restaurants are unsurprisingly the most stressed during Restaurant Week, so make sure you are hitting up more than “that great steak place on Michigan” that everyone and their mothers are trying to eat at. At STK in River North, my party ended up waiting 20 minutes for a table on a Wednesday night, even with a reservation. The curiously understaffed restaurant was full to the brim. The food was delicious, but we easily waited 40 minutes between courses, and it was unreasonably difficult to get the attention of our server. 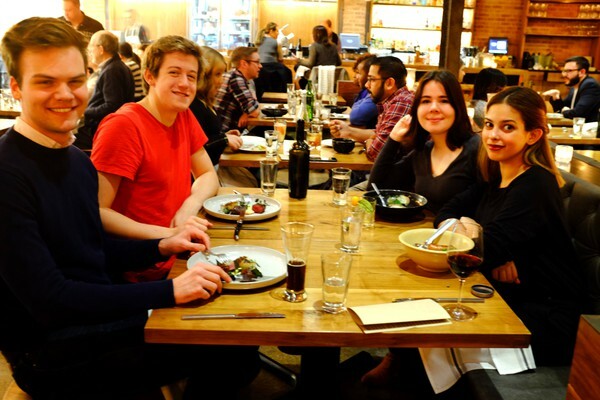 Restaurant Week reviewer Nabila Lotayef dines at Tete with three friends. Don’t let unconventional menus and weird ingredients dissuade you. At Nia Mediterranean Tapas, you got eight courses served family-style for $33 a person. I went with a party of six, and despite having a whole range of dietary restrictions and tastes, we were able to agree on courses to share pretty quickly. At Tete, a West Loop joint specializing in charcuterie, I was never entirely sure what I was eating, but it was pretty damn delicious. For example, one member in our party ordered “burnt bread tagliatelle,” which turned out to made out of bread that was freshly baked, then toasted, then ground back down into a fine flour, and then finally turned into pasta. There’s nothing wrong with a little oddity here and there, and your taste buds will most likely thank you for it. So what part of snagging a three-course meal at one of Chicago’s top restaurants for as little as $22 isn’t awesome? The wait, the letdown, and, oh yeah, if it’s not $22—but if you persevere, you just might strike gold.